Do YouTube Pre-roll Ads Work? Lesson I Learned From Running YouTube Preroll Ads? Do YouTube Instream and Pre-roll Ads Really Work? Yes, but only if you know what you’re doing! YouTube ads are perfect for leads, sales, and branding. Currently, there’s not a lot of business taking advantage of YouTube ads, but that’s changing. As more people discover the benefit of YouTube Ads prices will rise and become a lot more competitive. Why Should You Run YouTube Ads? The main benefit of YouTube ads is they give you the ability to deliver your message to the right audience at the right time. An insurance company can run their ads in front of insurance videos. A protein supplement business can run their video ads in front of fitness videos. Lawyers in front of auto accident videos. My Favorite…Run your video ads in front of your competitors. Here’s a quick rundown of YouTube pre-roll ads. How YouTube Pre-roll ads can drive you more customers, leads, and sales. 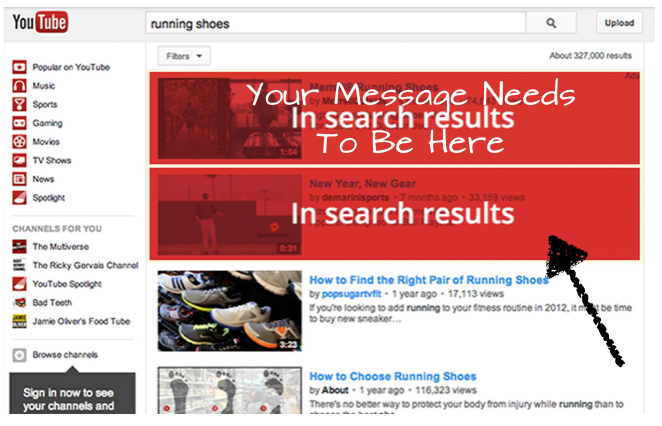 Using YouTube (Google AdWords), you can run your YouTube video as an ad before other YouTube videos. As long as those videos allow ads. You’ve probably experienced this: you go to watch a video and suddenly there’s a commercial. You have to watch for five seconds, and then you can hit “Skip Ad”. They call this a YouTube in-stream ad or a pre-roll ad. You may think these are annoying, but that’s because they are not relevant. Most agencies, do not take the necessary time to hand pick the videos. They treat it like a TV commercial. We do not make this mistake. YouTube is the 2nd largest search engine. You are able to choose what keywords you would like your video to show up for. Google knows what you are looking for. With in-market audiences, you are able to play your video in front of people who have searched, or who are looking for your product. It is a bit complicated, but fun to play with. This is one of my favorite targeting methods. You are able to play in front of handpicked videos. I love playing my video in front of my competitors. When it comes to YouTube Pre-Roll ads there are a lot more challenges than one would expect. Over the years, we have found little tips and tricks that make all the difference. But first, let’s identify the challenges. It is not easy to overcome the challenge of the ever-boring pre-roll ads that are in front of the video you are trying to watch. You hate them. You are searching for some great entertainment and reluctantly you have to sit through some interrupting ad that looks just like the commercial you saw on TV the night before. You can’t seem to skip them fast enough. 5,4,3,2,1 Skip!!! Needless to say, this is a challenge for video marketing companies. But we know how to fix it. Know the tips and trick to run successful video ads. Be creative and treat YouTube as a separate platform. The absolute first thing you need to do is create a amazing video ad that doesn’t bore your audience to death. Below is a great example of an ad we created for our sister company Ydraw. Secondly, you need to narrow down your target audience. Big corporations spend millions of dollars throwing their ads in front of every YouTube video on the web. There is a better way, which we are willing to show you for FREE. Just sign up for a free consultation. It could change your business forever. Before we get into the Frequently Asked Questions about YouTube ads, I wanted to give you access to a video marketing presentation I did at Pubcon. I also want to invite you to get a FREE Video Marketing Proposal. Frequently Asked Questions about YouTube Video Marketing Ads. Here is a screenshot to give you an idea of what it will look like. I tried to find one of the most expensive campaigns. The top one is a Keyword only campaign. Q. How much money should I set aside a month for video ads? A. Easy answer. As much as you can or as little as you can. This is the nice thing about running YouTube video ads. If you only have $5 a day you can run ads. If you have $100,000 a day you can run ads. It is totally up to your budget. Obviously, the name of the game is scale. So once you start to see some results, you will want to scale up your budget quickly. You need a well-crafted YouTube ad to drive traffic and leads to your business. Let us do it for you! In 2017, we were able to expand our customers’ businesses with YouTube Video Ads. Are you ready to expand yours? Q. What are some of the benefits of running YouTube Video Ads. Tell your story. You’re the expert on your business. Share your expertise with the world. Be personal. Put the camera on yourself and explain how your product or service can benefit your audience. Get them inspired. Create a video campaign in only a few minutes. Create your account, create or upload your video ad, reach your audience, and you’re on your way to reaching your audience. Measure your success. Figure out if you’re reaching the right audience. Check your AdWords account to track views, clicks, costs, and budget details. Then visit the Analytics tab in your YouTube account to learn more about your viewers. For example, you can tell which videos your customers are watching and for how long. If you want to try and do YouTube Ads on your own, here you go. Sign in to your AdWords account at //adwords.google.com/video. If you’ve never created an AdWords for video campaign before, click New campaign > Online video above the campaign table. From the “All video campaigns view,” click the Campaigns tab, and click All video campaigns in the campaigns navigation list. You should see all campaigns within your account. Click + Campaign above the campaign table. You can load the settings for a previously created video campaign after this step. Choose your target locations and languages. Create a new video ad or skip to the next step. You can see instructions on how to create an ad in a later topic in this article. If you want the longer version of how to set up a video marketing campaign head on over to our video marketing university. If you are running Pre-roll ads, Maybe you need to adjust. 95% of businesses who are currently running pre-roll video ads need to adjust. And if you happen to be one of those businesses running ads that do not have a skip button, prepare to be hated by the masses. Your knowingly interrupting people’s ‘me time.’ Here is what YouTube/Google say about their Instream pre-roll ads. We can’t be fooled by their well-designed PDFs, and we know most of the info that Google provides is pushing us to spend more money on their platform. 98% of the time our pre-roll ads do not get delivered to our ideal audience, and average view rates are well below the 1% range, but that does not have to be you. Come on YouTube, we are smarter than this…or are we? YouTube gets 1 billions unique visitors and reaches more US adults ages 18-34 than any cable network. It’s huge and we can use it to our advantage. How much do you think it would cost to run a commercial on a cable network? A lot. Most of us can’t afford to run Super Bowl ads, but we can run YouTube ads during the super bowl. You can’t walk into a cable network and tell them to run 10 dollars in ads and see if you get any kind of result. It doesn’t work that way. With YouTube, you basically choose where you want your ads to be shown, how much you are willing to pay, and who you want to see those ads. You can’t do that anywhere else. With that being said… you can’t just go out there and press start on a YouTube campaign. We need to be strategic. Here are the guidelines when creating Pre-roll YouTube ads. 1. WHEN CREATING PRE-ROLL ADS YOU NEED TO DESIGN YOUR VIDEO FOR A YOUTUBE SETTING (THEY ARE NOT COMMERCIALS). It’s not easy and it definitely takes a lot of creativity to make it work, but that is what Ydraw is for. Here are a couple of great pre-roll ad examples. Big corporations spend millions of dollars throwing their ads in front of every YouTube video on the web. Don’t ask me why, but it is all in the name of “Branding.” Most of us can’t afford to throw money away, so make sure to limit your audience. It’s that simple So the next time you are looking to spend huge amounts of money on YouTube Ads, Follow steps One and Two and rethink the way you are doing YouTube pre-roll ads. You will get better results and a lot bigger ROI. Every once in a while, you get an email from someone that goes right along with what you are trying to tell people. Just yesterday this came in. We have seen amazing with our YouTube ads and so can you. If you are interested in a FREE video marketing proposal, just head on over to our homepage and sign up there. Thanks for reading all about why YouTube ads are perfect for leads, sales, and branding.